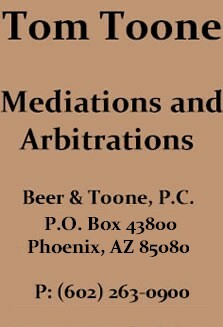 Mr. Toone has litigated in Jury and non-jury trials for wrongful death, personal injury and property damages, including claims involving aircraft crashes (commercial and private airplanes, gliders, ultra lights, helicopters, and balloons), airport and airline liability, products liability, pesticides, bailment and contract disputes, auto accidents, and insurance coverage/bad faith litigation. He also has litigation experience in professional malpractice (medical practitioners, insurance agents and adjusters), toxic torts, real estate and commercial transactions, premises liability, bankruptcies and receivership proceedings, and administrative law, primarily dealing with FAA enforcement proceedings. 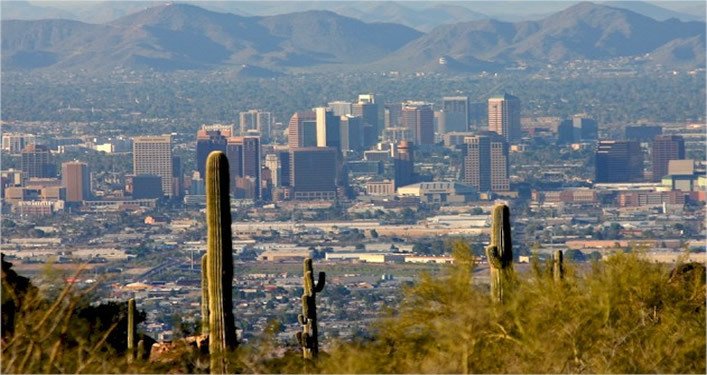 He has appellate practice experience before the Arizona Court of Appeals, Arizona Supreme Court and the Ninth Circuit Court of Appeals.